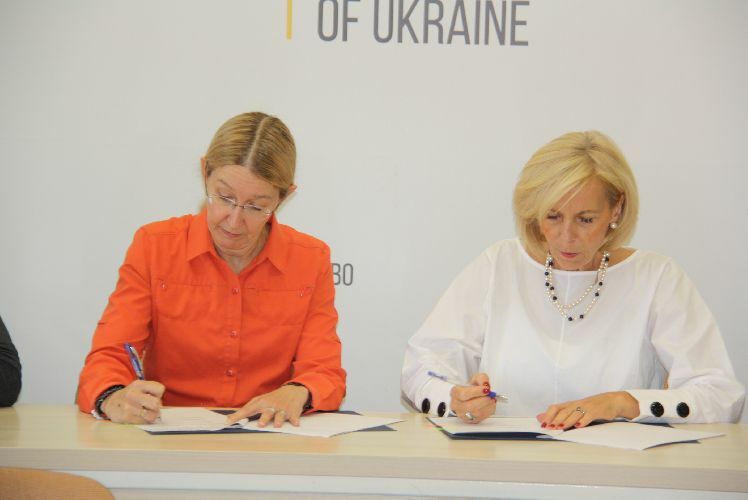 On September 25, the Ministry of Health of Ukraine signed the Memorandum of Understanding and cooperation with the Children’s Medical Care Foundation. This is the first step towards cooperation aimed at increasing the level of provision of neonatal care in Ukraine through the introduction of advanced neonatal practices that have proven effectiveness. “For us, the cooperation and support provided to Ukrainian doctors by the Children’s Neonatology Foundation for Children is important. After all, we understand that it is precisely from the level of training of the doctor and his desire for self-improvement that depends on the patient’s life and health, therefore, investment in training and high-quality knowledge of doctors are really invaluable, “stressed the acting. Minister of Health Ulyana Suprun. The cooperation includes the involvement of Ukrainian doctors in the international exchange program, support for active participants of the Program in major international forums, international trainings experts for neonatal practitioners, doctors of children’s anesthetists, nurses, and the development and implementation of a concept for the development of neonatal care. “If we work as a team – the Ministry, the healthcare institutions, our Foundation, then we can achieve significant success in this work. We will start with small steps to achieve high results, “said Bjorn Martinoff, President of the Children’s Care Foundation.